CoolSculpting® is the latest innovation in non-invasive alternatives to traditional plastic surgery procedures such as liposuction. 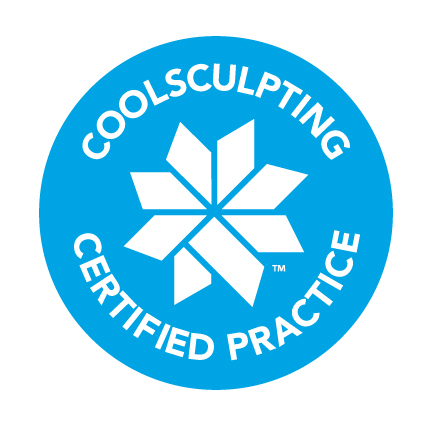 Available to both men and women, Cool Sculpting utilizes patented technology that freezes fat, causing it to break down and leaving it to be metabolized and disposed of by the body’s natural cleansing process. The new FDA approved Cool Sculpting device is used to reduce fatty tissue by freezing your fat away. The Cool Sculpting technique is a non-invasive surgery that can be performed with no anesthesia and absolutely zero downtime. The Cool Sculpting technique controls and localizes cooling to the target area, reducing the number of fat cells in the target area. The best benefits, besides the amazing results, is that patients remain comfortable and there is no restrictions to activities the Cool Sculpting patient after the procedure. The most common side effects is that some patients may feel a slight sensation of tingling or mild tenderness for a couple weeks after the procedure. This should cause no impact on the life-style of the Cool Sculpting patient though. Something as simple as an over-the-counter analgesic (Tylenol or Advil) is sufficient to ease any discomfort. Cool Sculpting can be used on many different areas of the body. An average of 20% fat loss at four months is what studies show. Although the fat is metabolized through the body, there is no increase in lipids in the patients blood with Cool Sculpting. The Cool Sculpting treatment can be repeated numerous times. Cool Sculpting is okay for patients with large amounts of body fat but is ideal for patients who have little to modest amounts of fat. For men, the ideal treatment areas are the “love handles”, flanks, and the abdomen. For women, the ideal treatment areas are the muffin top, back fat, abdomen, and flank areas. Cool Sculpting Patients who have a large amount of body fat or loose skin may want to opt for plastic surgery procedures such as liposuction or a tummy tuck. On average, the CoolSculpting® treatment takes 1 -2 hours per targeted area. Schedule a Cool Sculpting consultation with Elite Freeze® to determine whether or not you are a good candidate for Cool Sculpting by clicking here. Elite Freeze® is a premier cosmetic surgery company that specializes in Cool Sculpting. Award winning and Board Certified Plastic Surgeon Dr.Vivek Bansal, MD is an expert in the Cool Sculpting technique of freezing your fat away. Elite Freeze®‘s parent company, Elite MD, is one of the most acclaimed plastic surgery, dermatology, and laser institute companies around. For more information, or to schedule a Cool Sculpting consultation with Dr. Bansal, contact our practice or visit our Facebook page or Twitter page.